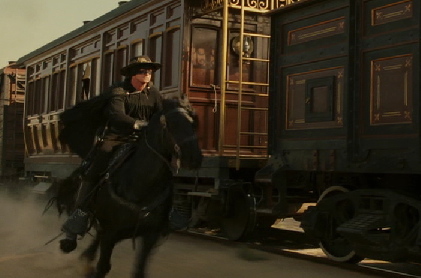 The Legend of Zorro (2005): THIS MOVIE IS OUTSTANDING! That being said, let me tell you a little bit about why this movie receives such a remark. First of all, I loved the earlier film "The Mask of Zorro" from 1998. They took their sweet time making this sequel, but it was worth the wait because this was extremely well done. I like it that they got Antonio Banderas and Catherine Zeta-Jones back for this second film. They really work well together, and the film can elaborate on the personalities of the characters that we already knew from the previous Zorro movie. They really act like husband and wife. For one thing, the action is non-stop. 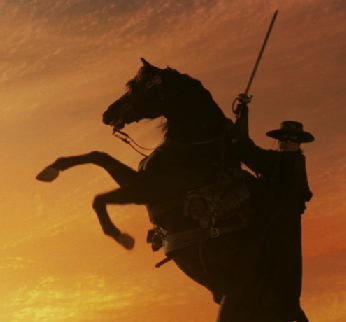 From the very beginning to the very end of this film Zorro is active in one way or another. 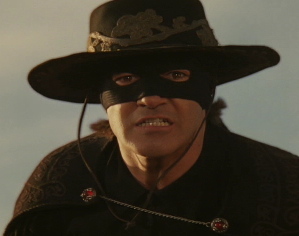 A real advantage to this movie over its predecessor is that he is already Zorro, so we don't have to sit through all the "how he came to be Zorro" stuff. The action scenes are extremely well choreographed and designed. Whether he's fighting on a bridge, in a secret nitroglycerin factory, and especially the train, you can see what's going on at every moment. I'm extremely impressed with the elaborate stuntwork and certainly the special effects. Another real big bonus is that the characters were "loosened up" in this film. The characters in the earlier film sometimes took themselves too seriously. Even the bad guys in this film had a sense of humor at times. Zorro is a funny drunk and jealous husband, and Elena (Zorro's wife) finally took the stick out of her fanny and had funny moments this time around, while still being very glamorous. 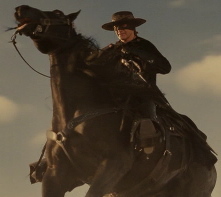 Zorro's horse seems to have a bigger part in the show as well this time around. They used the horse for comedy several times such as when he's drinking booze, smoking a pipe, or when his eyes get wide with fear at an upcoming low bridge (while atop a speeding train). 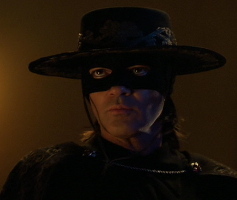 The real smart thing about this Zorro movie is that it's giving us something different from most Zorro movies. Here our man in black has a wife and a son. And both of them are very significant to the film. They aren't just "there", they're part of the story. I noticed a BIG change in Catherine Zeta-Jones' character of Elena De La Vega. She is definitely a heroine in this film and quite an action starlet. In the last film she was merely a semi-antagonistic love interest. In "Legend of Zorro", we get to see her beat the stuffing out of enemies quite a few times. And she really does have personality. Very strong and self-sufficient. She can hold her own very well when Zorro's not around. In fact, I've given Elena De La Vega her own page which you will find by CLICKING ON THIS LINK! 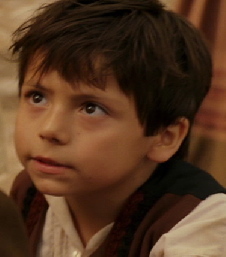 Special attention from this viewer is focused on Zorro's son Joaquin (as played by Adrian Alonso). It's hard to find really good child actors in films, but the makers of this film picked a really good one in young Mr. Alonso. He has expression and can act, and man can he really move! Joaquin is a talented little dude. And I like that cocky personality of his. He is definitely the son of Zorro that we would envision. The bad guys are more interesting this time around, too. 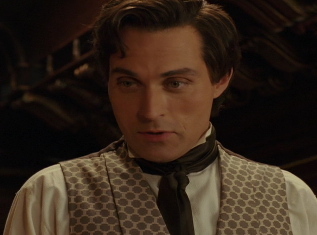 Rufus Sewell plays Count Armand, who is plotting to destroy the United States with his new weapon of mass destruction (nitroglycerin). Armand is a snappy dresser with wolf-like charm and an arrogant French accent. He manages to get ahold of Zorro's wife Elena. Don't worry, it's not true love, but I don't want to spoil the movie for you. She still loves Zorro (and vice versa). Armand's bald henchman with the silver, hook-like weapon is also interesting to look at. 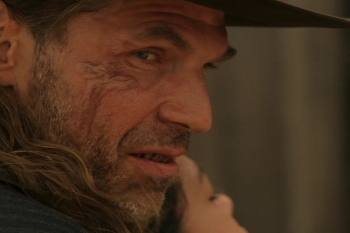 The villain that stands out the best though is Armand's hired man, Jacob McGivens (played masterfully by Nick Chinlund). 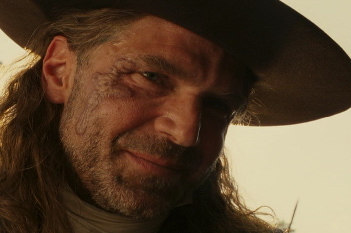 He's a really grotesque-looking, long-haired cowboy freak with a scar on the right side of his face that looks like a cross. The scar looks nasty, like a big booger or something. He also has dentures and beard stubble. We have to guess that the scar is probably self-inflicted since he's always spewing Bible quotes at his victims. He's definitely a menacing character. 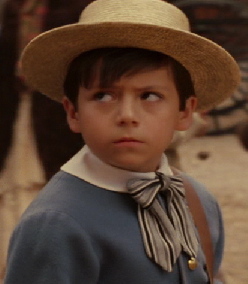 Last, but certainly not least, is Julio Oscar Mechoso as Zorro's sidekick Frey Felipe. Mechoso is an incredible actor and he's been in many TV shows and movies. I follow his work. If I know he's going to be in something, I watch it. By the way, if you can ever get ahold of any episodes of "Damon", the sitcom where he played a cop opposite Damon Wayans, I highly recommend it. 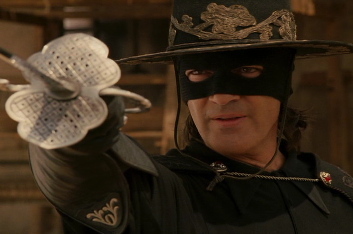 Getting back to his role in "Legend of Zorro", Felipe is a holy man that helps keep Zorro's identity secret while ringing the church bells to signal the crimefighter. He's a competent character, but also funny. 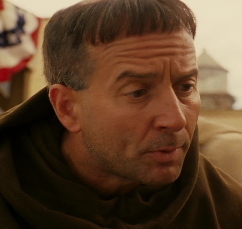 And he does live throughout the entire film although there's one moment where things look pretty bleak. Mechoso's characters always have a lot of personality, and he brings that to this character. If you haven't already seen "The Legend of Zorro", you've got to see it. Unless you're a real dullard, you are going to absolutely love this film like I do! There are a lot of thrills and funny moments, some tragedy, but ultimately a fun, feel-good movie with a happy ending. There is a purpose for everything that happens in the film and it all comes out good by the finish. 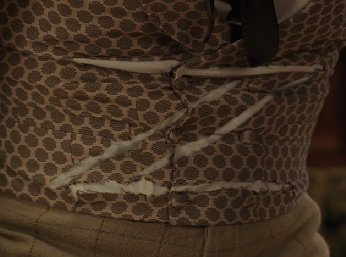 This comes from the scene in the movie where Zorro cuts a "Z" in the main villain's vest. It spawns what I think has to be one of the greatest lines in movies, as said by Zorro: "So the Devil will know who sent you!"